Have you ever considered whose voice you hear in mainstream news, which corporate interests are being pushed? When we turn to mainstream news networks, our understanding of the reality of the world is colored by the influence of corporations and corrupt governments, which pursue their own agenda instead of the truth. Realities are turned up-side down, US-NATO wars are portrayed by the media as humanitarian endeavors. Neoliberal economic austerity measures are upheld as a means to eradicating poverty. 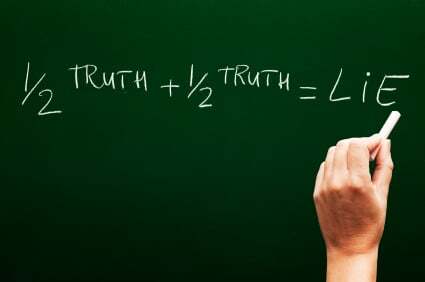 Truth in media is a powerful instrument.As long as we all keep probing, asking questions, looking through the disinformation to find real understanding, then we are in a better position to participate in creating a better world in which truth and accountability trump greed and corruption. Since 2001, we’ve been providing information, analysis and on-the-ground reporting of global events. Global Research has established an international network of authors, scholars and investigative journalists. The underlying concept is the “democratization” of research and media reporting, while maintaining high standards of investigation and analysis. To maintain our independence, Global Research doesn’t accept government or corporate funding. How can any organization or individual have the freedom to speak the truth if they are funded by the very agencies actively engaged in the dissemination of disinformation? Our independence matters to us and we know it matters to you, our readers. Our readers are helping the beacon of truth shine brighter by passing on the information, engaging in research and dialogue, and achieving real and sustainable empowerment. They fund this initiative. Our 2015 campaign drive will ensure that we’ll be able to continue providing this essential focus. With your help, truth can shine brighter. The more people become aware of the subversive, insidious processes attempting to manipulate public opinion, the less we can turn a blind eye to the injustice that surrounds us. Give what you can, as often as you can. Keep your news uncensored. Your donations are vital to sustaining GR’s online global platform. In addition to continuing to provide essential news, analysis and information from across the globe, we have several plans for the next year aimed at increasing our readership and improving our content and coverage. Our aim is to grow our global outreach beyond our current 2 million monthly readers. The more we grow, the better our chances are in battling the lies perpetuated by the mainstream media. We plan to do so through networking, partnerships, via correspondents in major regions of the world and through our own on the ground investigative reporting. Investing in these aspects will enable us to share the truth and spread the word to a broader public and, hopefully, continue to wake more people up to the lies they have been fed. Global Research plans to set up a carefully designed searchable online library. Readers will have user-friendly, easy access to more than 50,000 articles published on our site by more than 9,000 authors. This will be a formidable free research tool, covering a wide variety of topics and regions. We’ll be creating more regular GRTV videos productions, as well as initiating a program of short documentaries. We plan on continuing our interviews on various topics with researchers, academics and experts. We also plan on extending radio coverage of our weekly Global Research News Hour (GRNH) radio program across North America and online. The Centre for Research on Globalization grew from a small, dedicated team that believed that news could be more transparent and that there were voices that weren’t being heard in mainstream media. The Global Research website was born on September 9, 2001, two days before the tragic events of September 11. On the morning of September 8, Prof. Michel Chossudovsky took a crash course on managing the site and putting the project online from a student in philosophy. Among our first articles was coverage of the events surrounding 9/11 and the subsequent invasion of Afghanistan on October 7. From these modest beginnings, with virtually no resources, the Centre for Research on Globalization (CRG) has evolved into a dynamic research and independent media group. To fax in your credit card payment, please click here for fax authorization form and send to +1-514-656-5294. Donate $100 or more and you will receive a free book of your choice from our online store. Sign up for a recurring monthly donation and you will receive a FREE copy of the e-book, Towards a World War III Scenario (by Michel Chossudovsky).